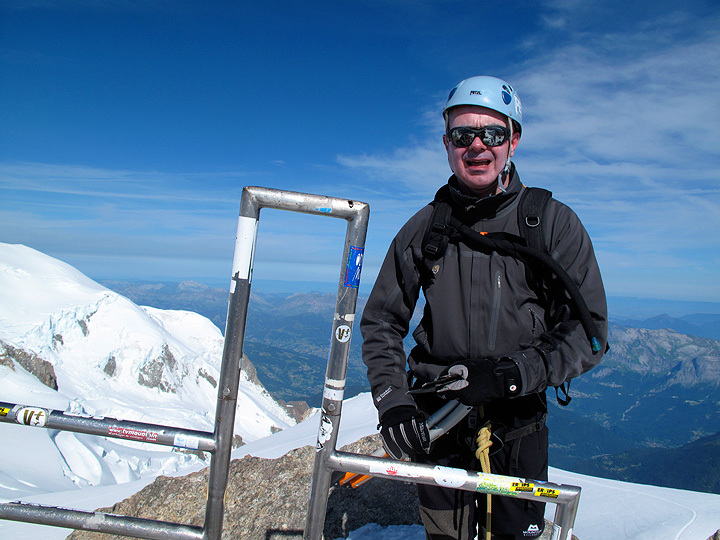 Rob Maloney made a quick flight from London, to join Mark for 3 days in the Mont Blanc massif. We enjoyed superb weather. 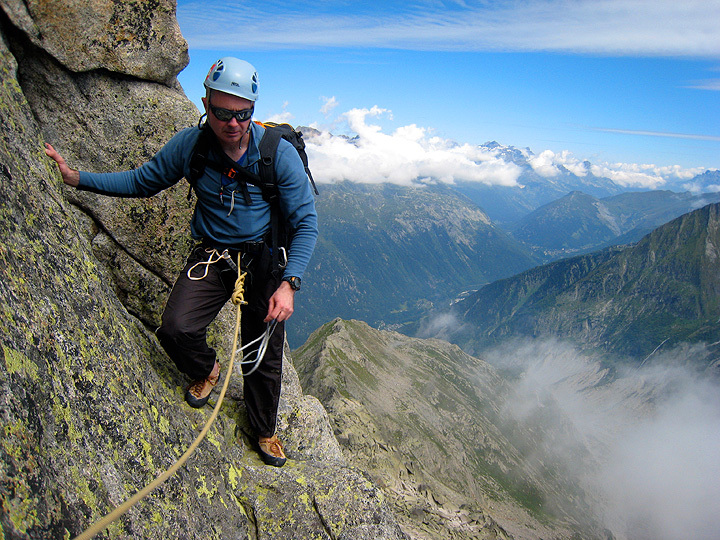 As an introduction to this page, and to Rob, here he is, smiling his way up the Voie EMHM on day two. 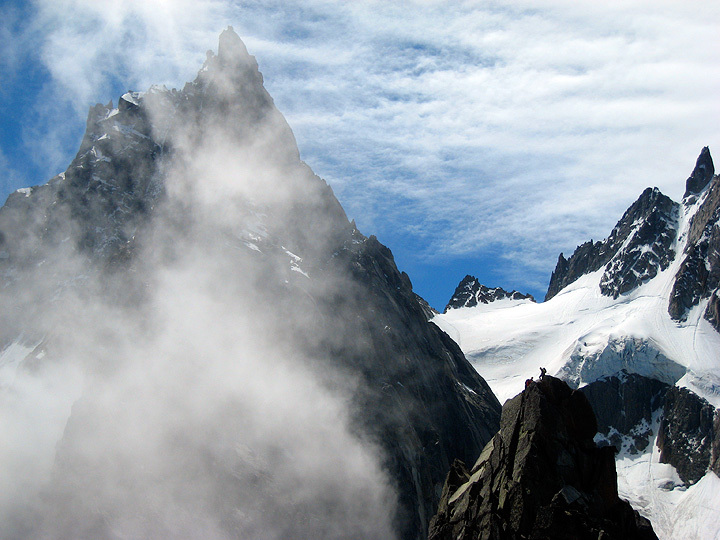 On our first of three day, however, we climbed the Aiguille de l'M, so named because of its "M"-ish appearance when viewed from Chamonix. 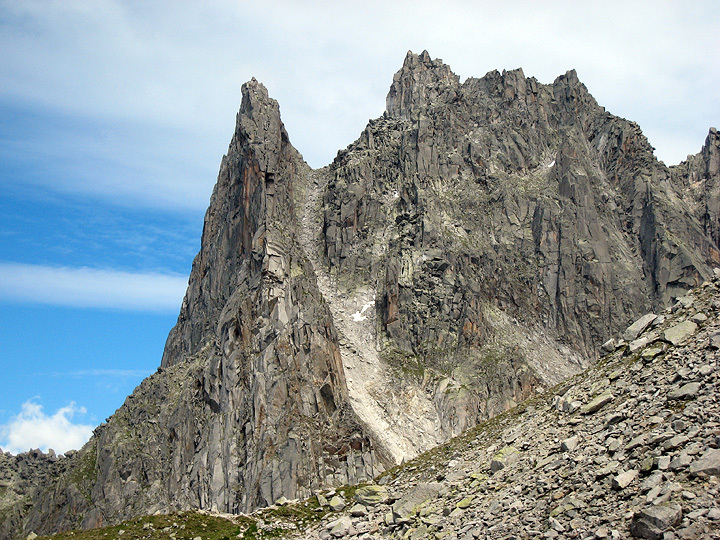 We climbed the NNE Arête, a fine old route, but sadly on the other side of the peak in this photo, which was taken from the west. 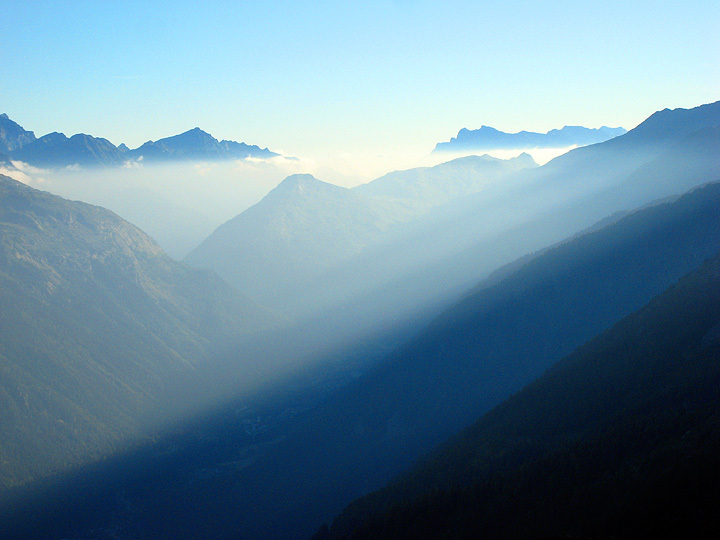 The sun just entering the Chamonix valley as we ride the cable-car to the Plan de l'Aiguille. Looking up the NNE Ridge. Roll your mouse over to see the route, more or less. 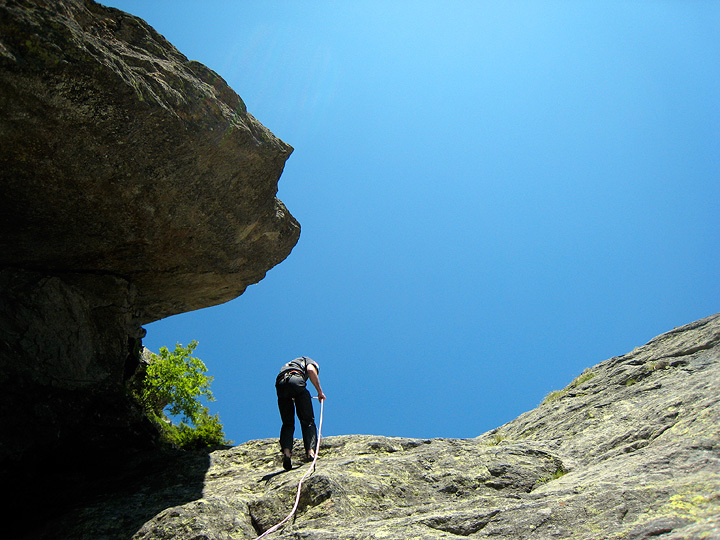 One of the cruxes of the route was the big crack. Well polished, it was. 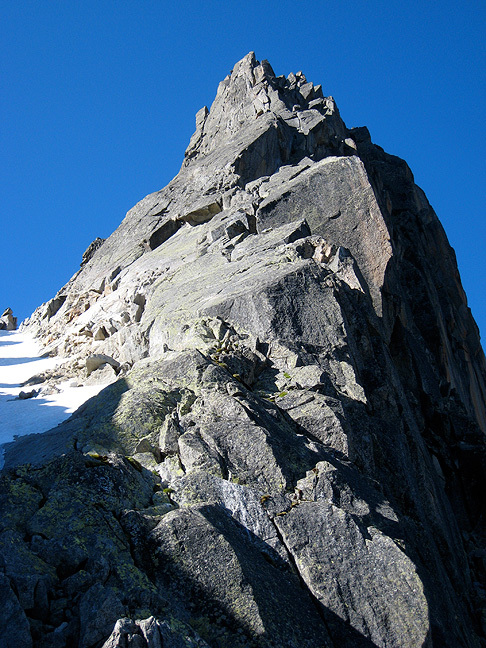 Looking up towards the Grand Charmoz from near the summit of the Aiguille de l'M. 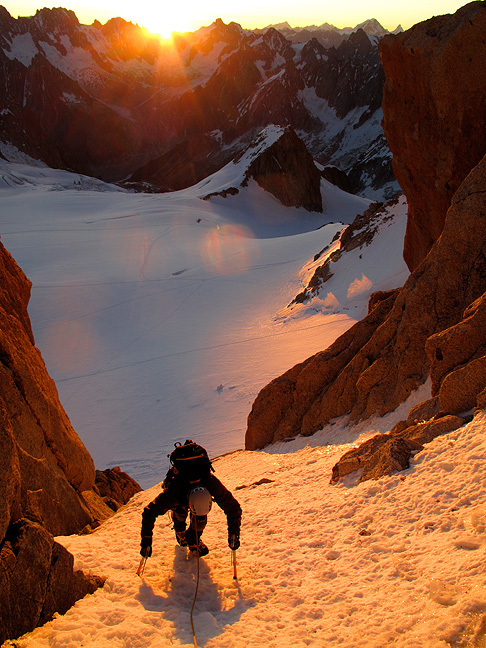 You can see climbers on the Petite Charmoz. On our second day, we were looking for a quick climb, as we had to get up to the Cosmiques hut that night in preparation for our climb of day 3. 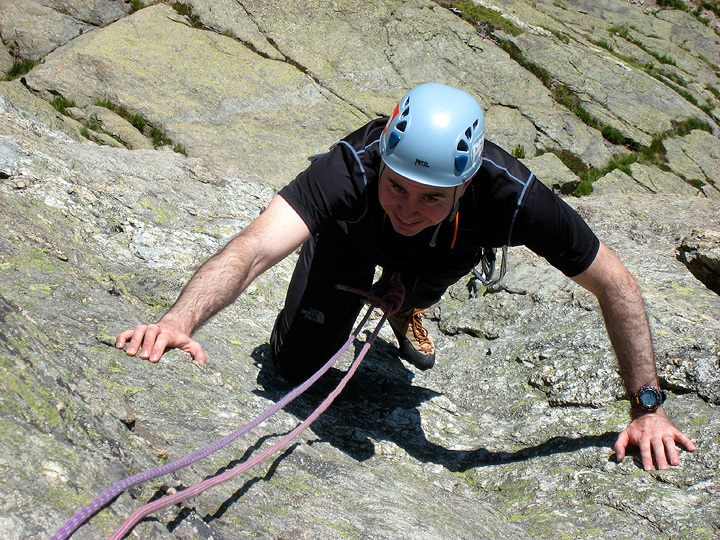 So we hiked up to Chezerey for a bit of rock climbing. 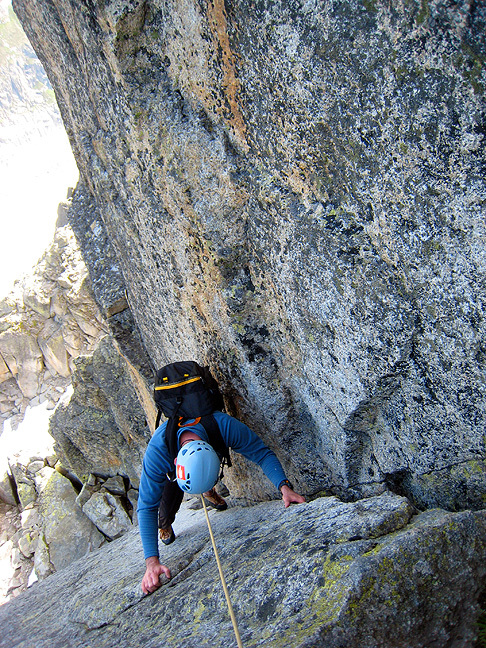 Here Rob rappels down after an ascent of Voie EMHM. 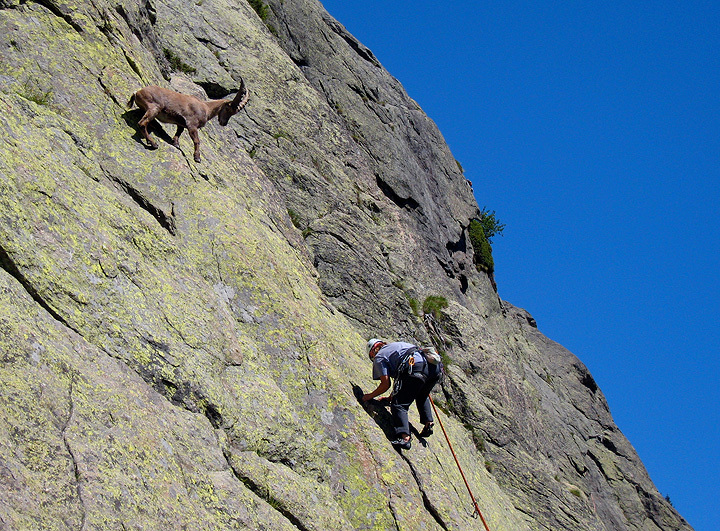 While unroping at the bottom we watched the antics of a couple your ibex. Who needs ropes? 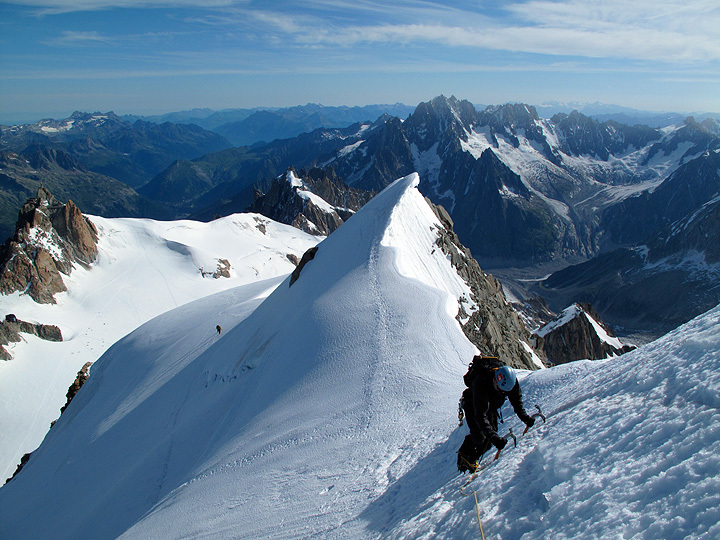 After a night in the Cosmiques hut, we set out for the Contamine-Grisolle route on the North Face Triangle of Mont Blanc du Tacul. 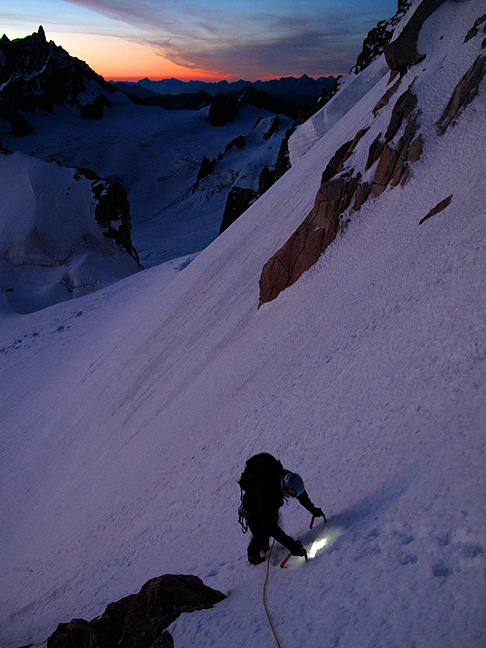 We climbed the first 3 or 4 pitches by headlamp, nicely alone on the route. At last the sun comes up as we top out of pitch 4. Higher on the climb. We had great conditions and perfect weather. 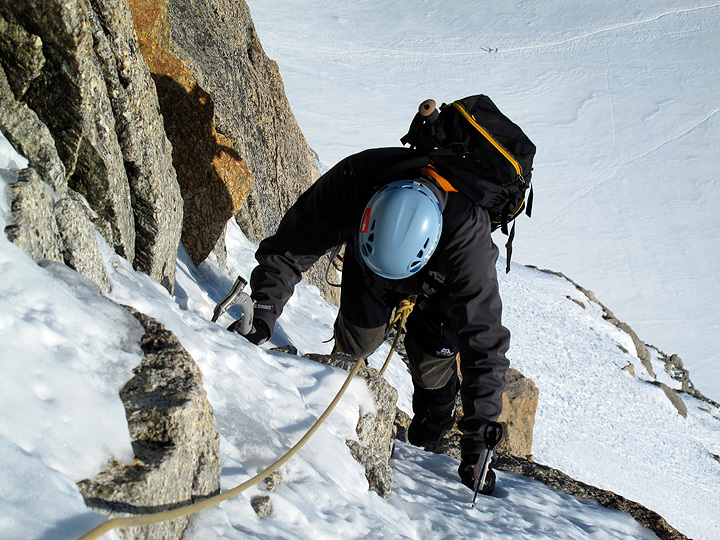 One last steep bit as we get nearer to the summit of Mont Blanc du Tacul.